Last holiday, I spent the days to hunting many challenges. 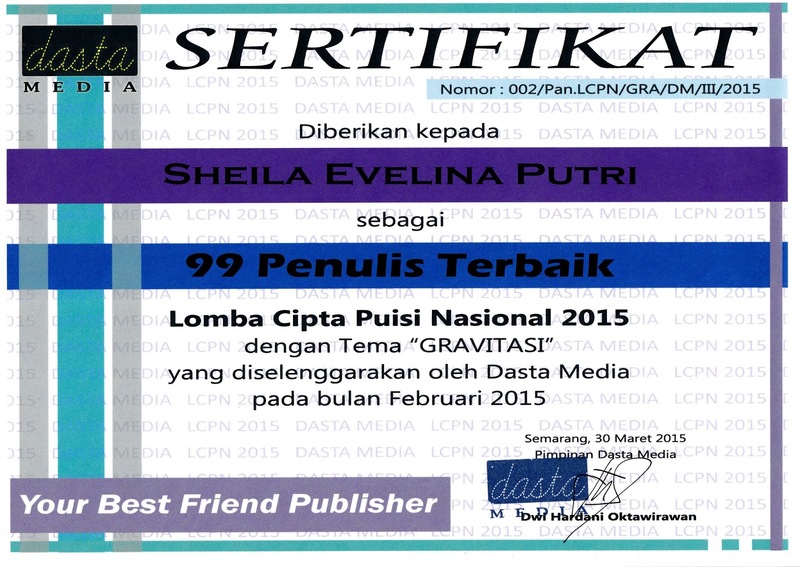 Especially for poetry contest. Till now, I have won some. Some others I haven't check. I forget the link to check. 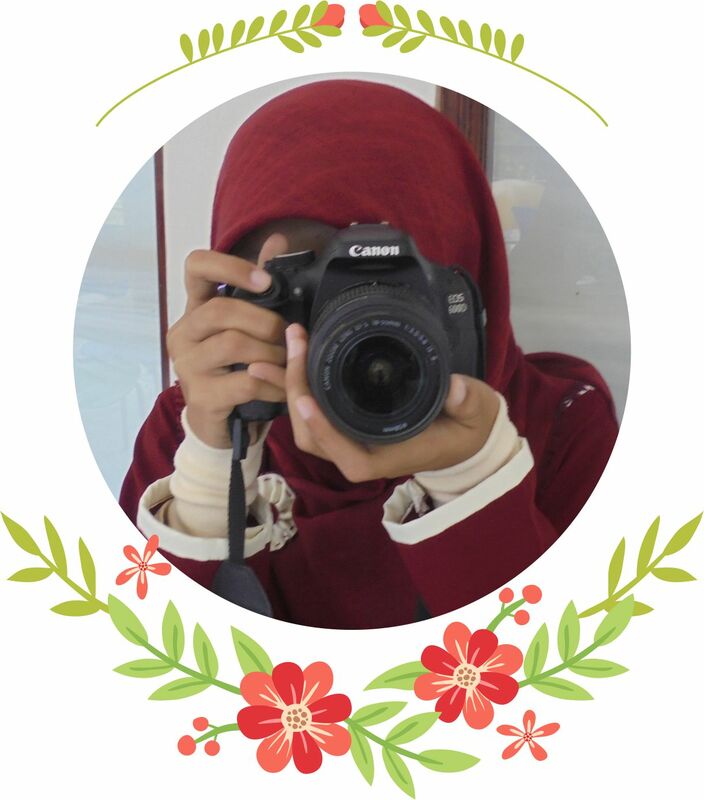 Cause there are many events I had. Then here we go! The challenges I have checked and won it. 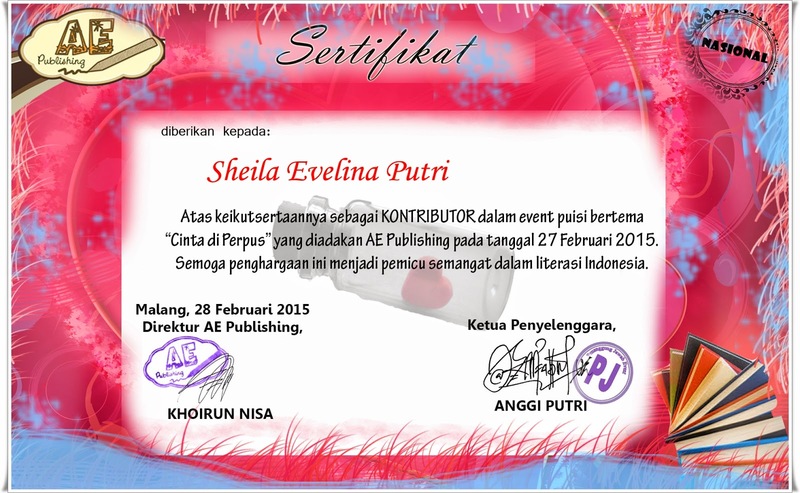 The certificate above is poetry event with "Cinta di Perpus" as theme. 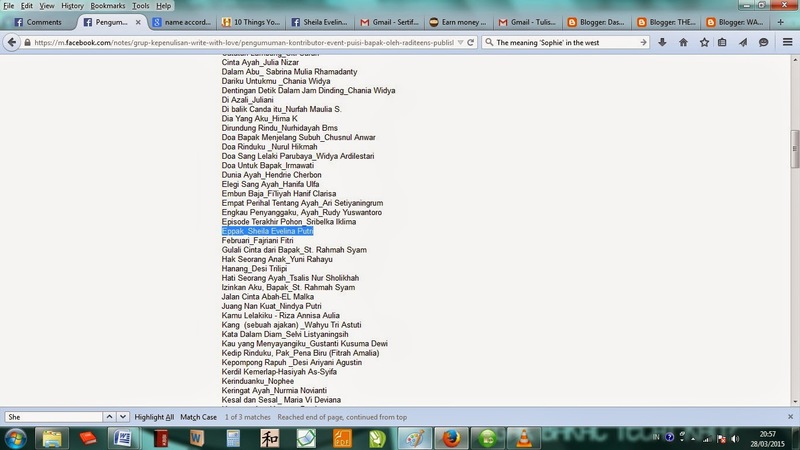 I'm very happy when my name written there on the announcement. 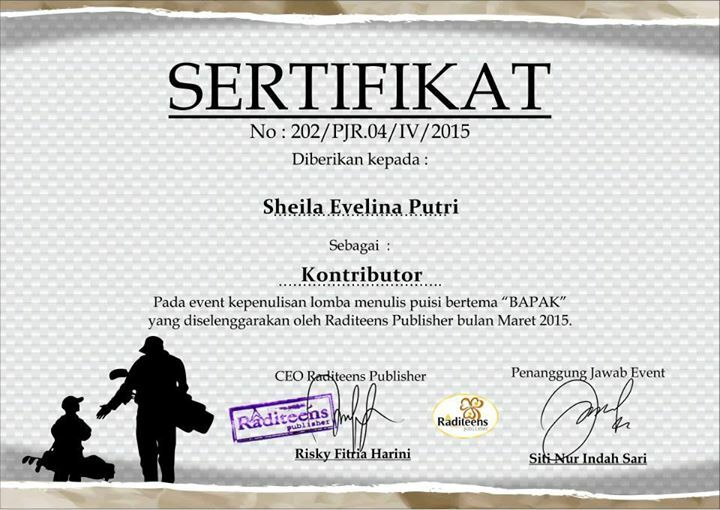 I'm also won poetry presented by Raditeens Publisher. 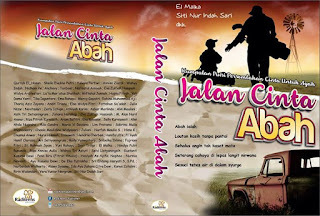 The theme is "Bapak." From four poems I joined, I just won one. 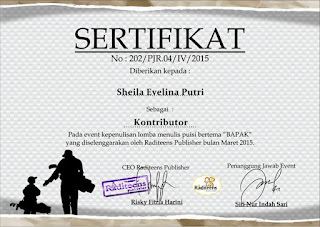 Alhamdulillah, me choosen as one of contributor. Phoenix Publisher have 7 events at once. 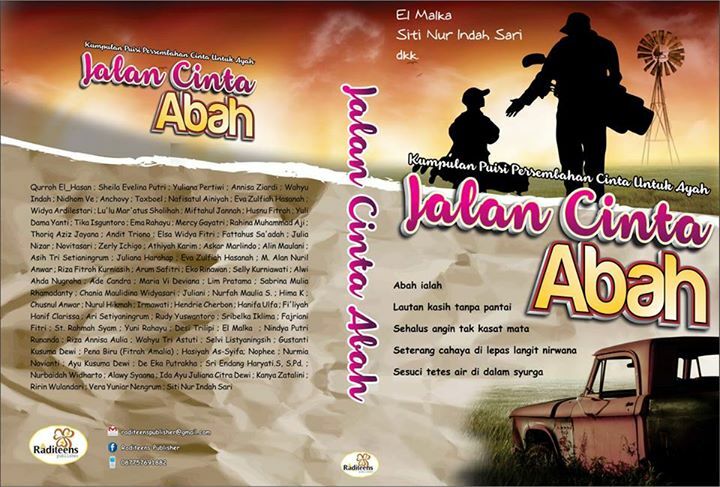 Then I thank god cause my works passed and printed as books. 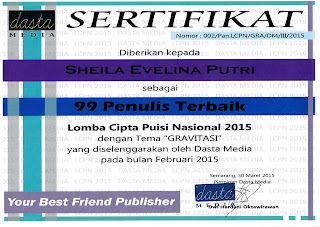 Certificate above is from Dasta media.